This adorable pattern is from Kim Diehl's Simple Whatnots Club and makes a 16" square table topper. 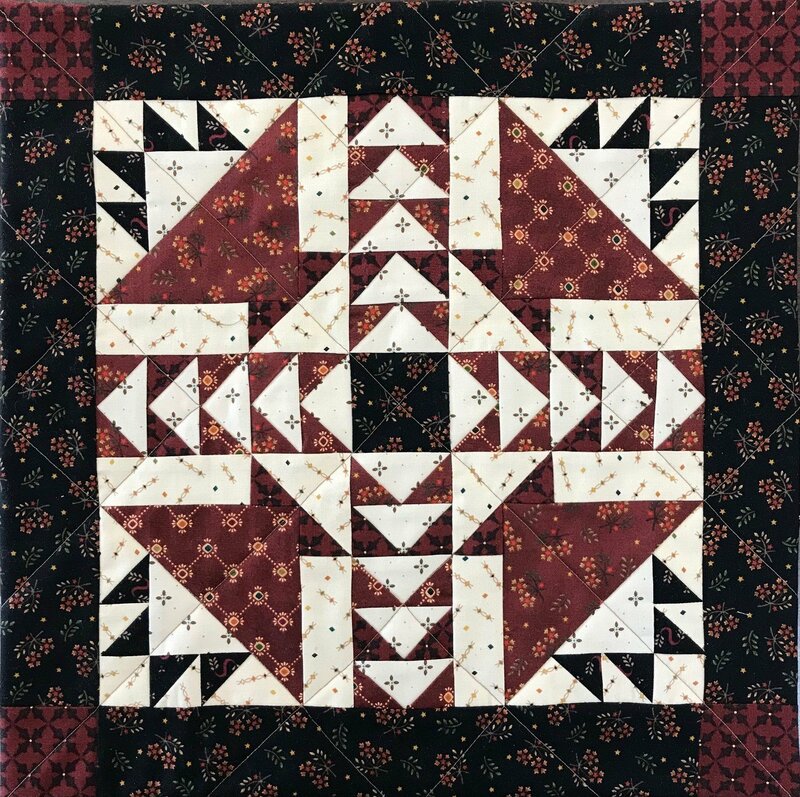 Techniques include half-square triangles, flying geese, and a couple of unusual but simple piecing steps - great for learning new skills or honing skills you possess. Kit purchase required. Pattern included in kit.